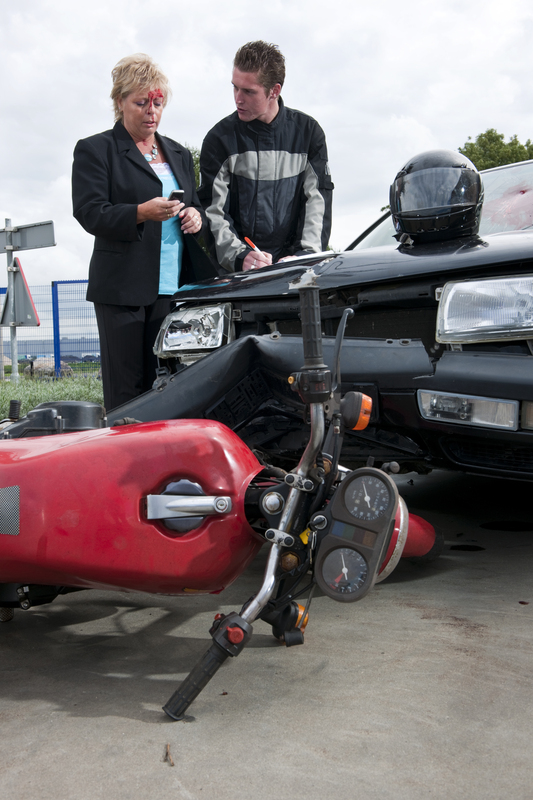 Anyone can become a victim of a motor vehicle accident. Whether you are a driver or passenger, you will likely cross paths with a negligent driver at some point. 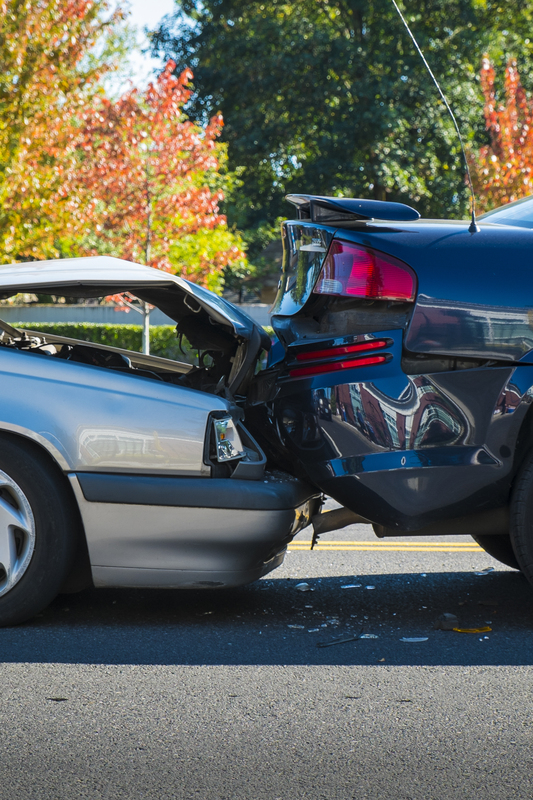 The term “accident” is used but crashes are typically no accident. Most motor vehicle accidents in Indiana are caused as a result of negligence such as drunk driving, distracted driving, or texting. At Batesky Law Office, we believe victims of motor vehicle accidents should receive maximum compensation for their injuries. If you have been in an accident that resulted in an injury, do not hesitate to contact our office today! We have represented thousands of clients and recovered over $100,000,000 in our 28 years of practice. Over 11% of all crashes in Indiana are the result of dangerous driving. You have suffered injuries in a motor vehicle accident. You were not at fault but insurance will not pay. There is a dispute over who is at fault. You have suffered serious loss as a result of the accident. A settlement cannot be reached. Motorists, passengers and pedestrians are involved in serious motor vehicle accidents every day. It is crucial to immediately collect and preserve evidence for your case including police reports, accident photos, witness statements, driving records and medical records. An experienced attorney like Richard P. Batesky, Jr. will come to your home or hospital for a FREE CONSULTATION. We are only a Toll Free call away – (317) 638-8888. If you or a loved one has been injured in an accident and you think an Indianapolis Car Accident Lawyer could help, Contact an Indianapolis car accident lawyer now! Injured people incur medical bills, property damage, lost wages and pain and suffering for which they are entitled to compensation under the law. We know that injuries affect the entire family through loss of services, love and affection of the injury victim. Richard P. Batesky, Jr. is a Indianapolis car accident lawyer committed to investigating your case immediately so that we can protect all of your recovery rights available under the law. We handle claims against trucking companies, uninsured motorists, drunk drivers and anyone else causing serious injury or loss of life. We have the experience and resources and work with experts in accident reconstructionist to help re-enact the collision prove your case in Court. We understand that your injuries can affect you and your family for life. Trust a firm that has handled hundreds of motor vehicle accidents. We offer sound advice and vigorous representation. If you need an Indianapolis car accident lawyer, contact Batesky Law Office today! 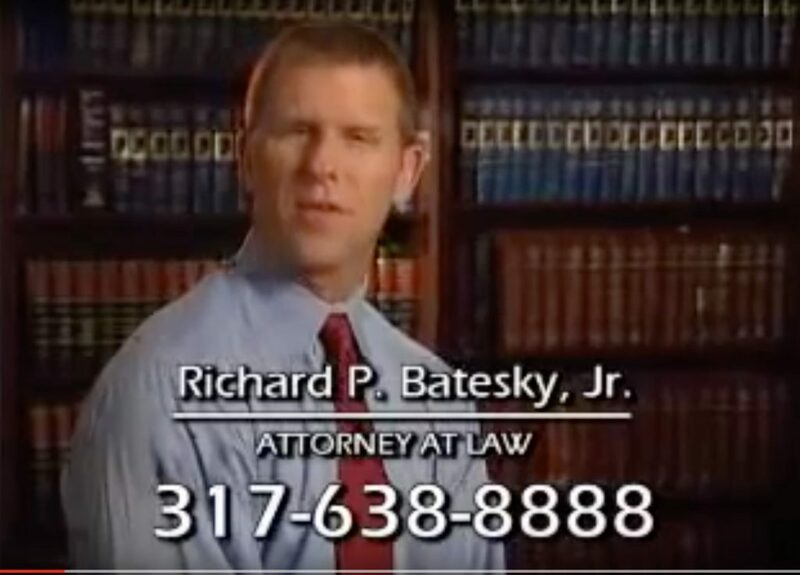 If you have been injured in a car accident as a result of negligence on an Indiana roadway, do not hesitate to call Batesky Law Office today! We will fight to get you maximum compensation for medical bills and lost wages. 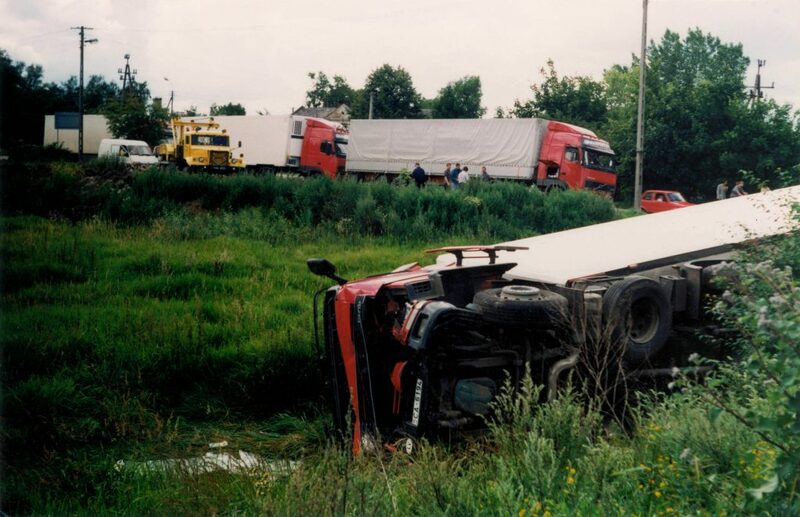 Crashes involving tractor trailers and semi trucks are often accompanied by severe injuries and total vehicle loss. Going against big truck companies can be messy and expensive so hiring an experienced attorney is extremely important. Indianapolis attorney Richard Batesky has the necessary skills and experience to protect you from the hounds of the big truck companies. 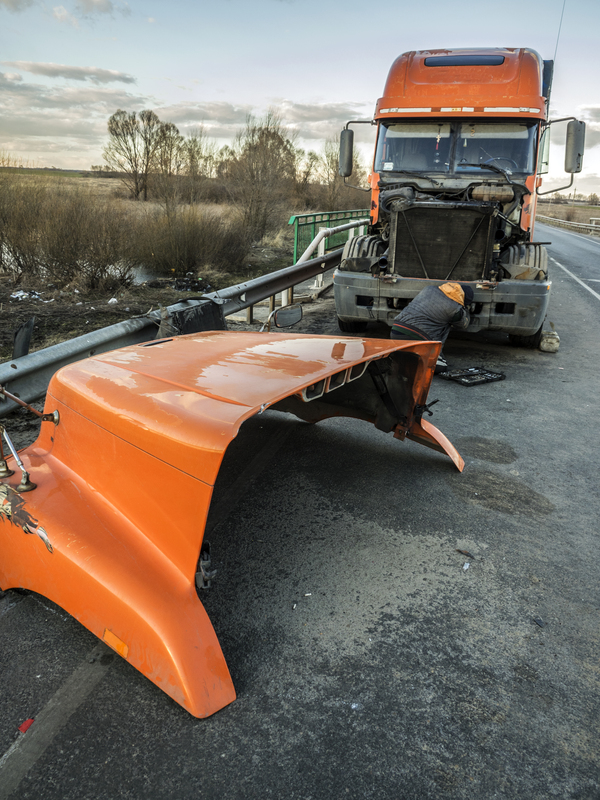 Contact Batesky Law Office today if you have been a victim of a truck accident. We have won millions for our clients and will fight to get you all the compensation that you deserve. 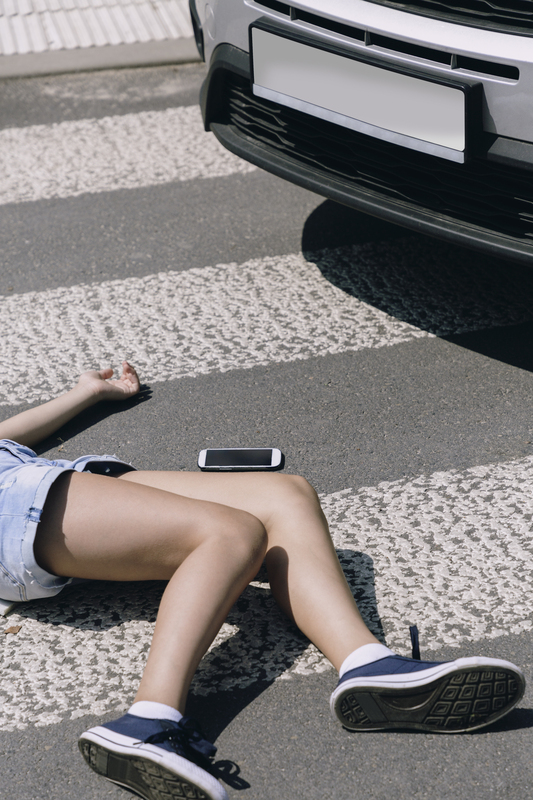 If you have been injured in a pedestrian accident that was not your fault, contact Batesky Law Office to receive full compensation for lost wages, medical bills, rehabilitation, and pain and suffering. Our attorneys have over 30 years of experience fighting for victims of accidents as a result of negligence. When you are involved in a motorcycle accident, you need an experienced injury attorney who will fight for you. Batesky Law Office has over 30 years of experience in handling motorcycle accident claims for victims who have suffered serious injury. Contact our office today for a complimentary case review. The number one cause of motor vehicle accidents is distracted driving. A distracted driver is any driver who diverts his or her attention from the road , typically to check their cell phone. Traveling above the speed limit is an easy way to cause an accident. Drivers reaction times are slowed when they travel at higher rates of speed which leads to more accidents. When a person is under the influence, the ability to focus and function properly is severely impaired. Drunk driving causes car accidents every day, even though they are easily avoidable. There will always be a time when you need to change lanes. Often times, aggressive drivers make unsafe lane changes by not using turn signals, checking blind spots, or proceeding into the next lane. Drivers that run red lights take a risk of causing a wrongful death because they often cause side-impact collisions at high speeds. Look both ways for oncoming cars as you approach a green light. Drivers who fail to yield at intersections can cause serious accidents. This can be at crosswalks, red lights, or stop signs. When a driver fails to read the posted signs and turns down a one-way street, the results can be serious. Thousand of accidents occur each year due to a driver failing to stop at a stop sign. When someone runs a red light, the resulting crash is typically a rollover or side impact collision. When a driver fails to follow the posted road signs and makes an improper or unsafe turn, it can cause serious accidents. Always be aware of the markings on the street and road signs to prevent being involved in a collision. Drivers can be impatient and reckless, and often this results in following too closely behind a car. When a driver is tailgating, they do not have enough time to react in the event of a sudden slow down. This almost always results in a rear end collision. Roughly 10% of all accidents in Indiana are caused by a speeding driver. If I have been involved in a car accident, should I contact the other driver's insurance company? Prior to giving a statement to insurance companies, you should contact a car accident attorney in Indiana. The insurance companies are known for using this information against you to reduce or deny compensation. Experienced, professional attorneys like Richard Batesky can help protect you against the insurance companies and get you the full compensation that you deserve. Can I receive compensation for pain and suffering after I have been involved in a car accident in Indiana? Absolutely! Laws in Indiana protect victims of car accidents and allow them to seek recovery for damages for pain and suffering along with property loss, emotional distress, disability, and more. If I have rear-ended someone, am I automatically at fault? Not necessarily. Drivers who make quick, aggressive lane changes or are being reckless on the roadway can cause an accident in which they get rear-ended but it is not the tailing drivers fault. Attorney Richard Batesky has extensive experience in gathering evidence to help victims of car accidents. What kind of evidence should I gather at the time of the accident? Always exchange information with all parties involved including name, phone number, insurance information, vehicle information, and license plate number. If possible, get statements from any willing witness and document their names and contact info. One of the most important pieces of evidence is photos. Take as many photos as possible of the vehicles, injuries, and damage so that your experienced Indiana car accident attorney can submit them into evidence to help you receive maximum compensation. Should I see a doctor after I have been involved in motor vehicle accident? Yes! You should always see a doctor to document any injuries sustained in the accident. How will I know if I have a personal injury case as a result of a motor vehicle accident? If you sustained injuries as a result if the accident, contact an experienced car accident injury attorney as soon as possible. Richard Batesky has over 30 years of experience in helping car accident victims receive compensation for lost wages, medical bills, and pain and suffering.